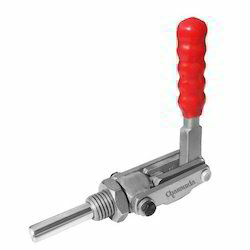 We are one of the leading manufacturer and exporter of a qualitative range of Straight Line Action Clamps that is fabricated using quality materials and advanced production technology. These products are also checked on various parameters based on international standards to offer a durable and long lasting range to our clients. 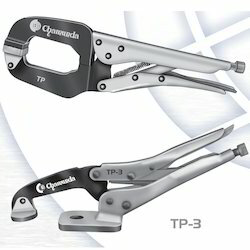 Based on our industry experience we offer a complete customer satisfaction Grip Plier with Swivel Pad products. Our range is widely appreciated for their features like quality, strong, optimum performance and durability. These are available in various specifications that help us in catering to the requirements of varied industries. Clients can access these at cost effective prices. We also have the expertise in offering Push Pull Clamps to our clients with impeccable services for Sand Blasting and Painting. These services are executed as per the clients’ requirements and in a timely manner. Our services are also competitively priced and offered in accordance with international norms. 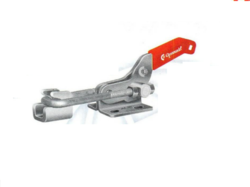 We are one of the reputed manufacturer and exporter of a qualitative range of Push Pull Toggle Clamp - TC-FM-Series that is fabricated in accordance with international standards using quality materials. We offer them at a cost effective price. Our range is offered at affordable rates and in various sizes, shapes, configurations and dimensions to meet the clients’ requirements. We offer a wide range of Heavy Duty Push Pull Toggle Clamp - TC-PS Series Horizontal in varied specifications as per the clients’ requirements. Our range is also checked on various parameters to ensure compliance with the required industry standards. They are appreciated for features like durability and corrosion resistance. We offer them at a cost effective price. 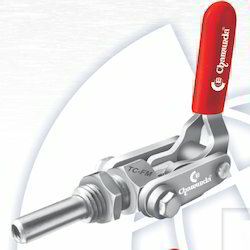 These PA-H Series: Pull ActionClamp are manufactured using quality materials and precision production techniques. We offer these in varied sizes, designs, and specifications according to the international norms. Our range is also being offered in customized specifications as per the clients’ requirements. We manufacture and export a comprehensive range of Horizontal Handle Hold Down Clamps to our clients. They are checked on various parameters to deliver a defect free range. These are made in compliance with international industry standards and norms and are stringently checked by our experts before making it available to the clients. 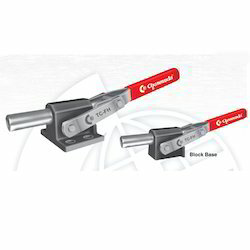 We offer our clients with TC-HSeries Horizontal Handle in accordance with prevailing industry standards and offered at competitive prices. 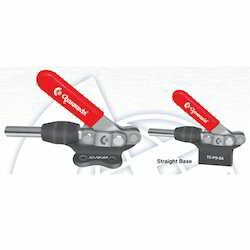 They are highly acclaimed for its features such as accurate dimension and strong construction. These are also offered in customized specifications as per the clients’ requirements. This Model Designed for the most rugged production job. Handle & Bars are Solid Steel, it machined and coined to close tolerance. Combined low mounting flexibility provide easy operation for part loading-unloading, when opened the bar completely clear work area. 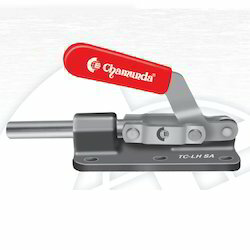 Looking for Straight Line Action Clamps ?